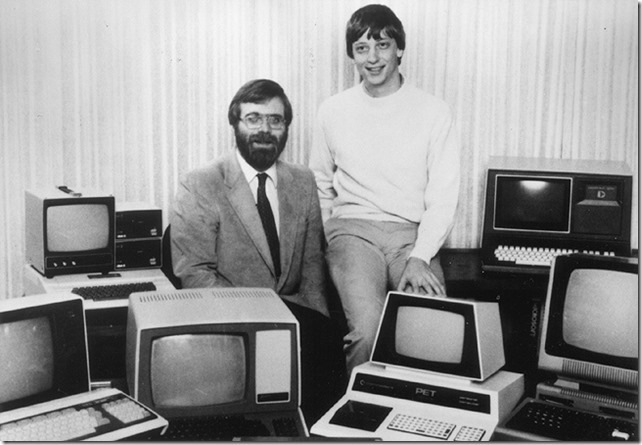 I could not help but to blog about this little Kodak Moment hitting the news these days. 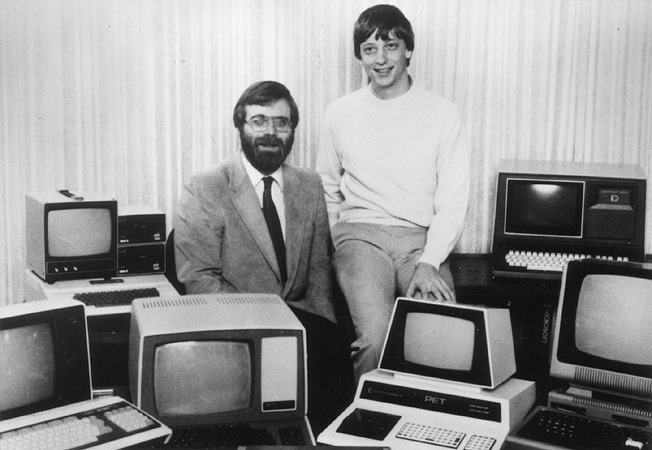 Bill Gates and Paul Allen recreated a famous old Microsoft Photo when they met up at Paul Allen’s Living Computer Museum. 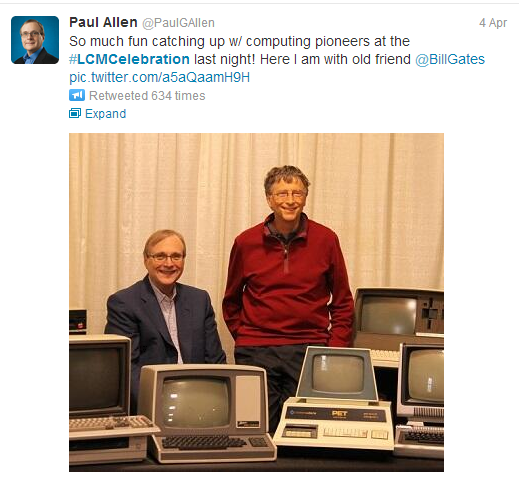 The new photo appeared on Paul Allen’s twitter account on April 4 2013, 32 years later.